In the pump image I’ve been using here for a while you can see the short tubing lead that comes out from the reservoir, and terminates in a connector for the infusion set. Originally this connector was the traditional “Luer-lock” connector, which has been used on uncounted medical devices over the years. For example syringes, along with the Medtronic 503/503c pump, and the Animas and Roche/Accu-Chek pumps. Then in late 2017 Tandem changed the t:slim reservoirs to instead use a new “t:lock” connector. They introduced t:lock versions of their infusion sets (the same Unomedical sets, just with different connectors) and phased out the Luer-lock versions. Thus I’ve previously theorised that new infusion sets might be introduced onto the Australian NDSS list for this pump. However now I’m reconsidering that. AMSL still need to be supplying Luer-lock infusion sets for many years to support existing users (Medtronic is still selling Luer-lock sets even though the 503 pumps were discontinued a long time ago). If they introduce the t:slim pump using the Luer-lock reservoirs, this will mean the rest of their inventory can stay the same for now without added complications. And I haven’t noticed any recent TGA approvals for Tandem infusion sets. If AMSL introduce the t:slim X2 with Luer-lock reservoirs, then it’s clear that Luer-lock pump infusion sets will be around for a while. 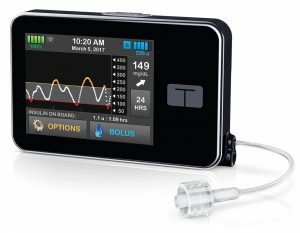 I’ve previously explored the range of infusion sets available through NDSS, and in that analysis the t:slim will just slot in along with the Animas Vibe and Roche Spirit Combo pumps. This is convenient for me: I use a combination of Animas-labelled and Roche infusion sets with my Roche pump, and it’s nice to know they’ll both be around for a while. 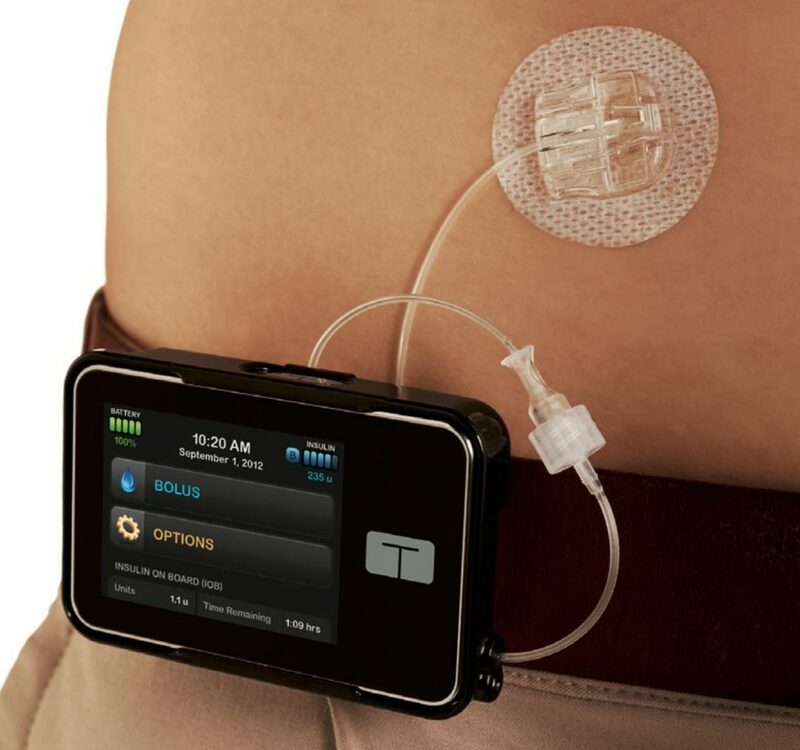 It would also be convenient for Vibe users upgrading to the t:slim, as they can continue to use the same infusion sets, and only have to change over their reservoirs. We’ll see if this prediction comes true. With the pump launch in September 2018, it’s unlikely that AMSL will upgrade Vibe users whose warranty expires in 2018. But the rumours are strong that all other in-warranty Vibe users will have the option to transition to the t:slim. It remains to be seen how AMSL will manage the upgrade process (obviously they won’t be able to transition everyone at once). Hopefully we’ll find out some details at the pump launch event in a few weeks. This is quite interesting. Here in the US, Tandem deliberately made luer-lock cartridges (reservoirs) unavailable in order to capture the profits from selling the t:lock infusion sets, and several of the quarterly investor conference calls mentioned the importance of this to their financial strategy.